Someone wants her family secrets buried. He's her only chance to survive. Andrea Wheaton thought her parents' tragic deaths were accidental--until she's attacked during a burglary at their home. Now she's also being targeted. Her ex-sweetheart Sheriff Deputy Bryce Caldwell insists on protecting her, though she refuses to trust him again. But with a killer closing in, can she and Bryce uncover her family's secrets before it's too late for them both? There are way too many books in the Love Inspired Suspense line to keep up with, but I have been reading more of them lately than I used to. This author is one reason for that. Back in November of 2016, she emailed me and asked me if I would review her new book at that time. Since then, I have reviewed a few other books, all of them suspense books in this line with the exception of one, and I have enjoyed every one. 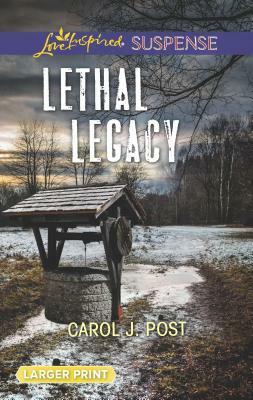 So I was happy to get an email from her recently to review Lethal Legacy, the newest book from her. This book is the second book in a mini series by her, and follows Fatal Recall, the last book I reviewed for her. This book launches right into the action and suspense within the first few pages, and brings back one of the characters from the previous book, Deputy Bryce Caldwell. From that point, the rest of the book is him trying to protect his next door neighbor, his ex-girlfriend, from danger from an unknown source. The book also brings back two other characters from the previous book, as they attempt to help protect their friend's attractive neighbor. With books like these, you know the guy is going to get the girl by the end of the book. That is a given, but it is still fun reading what leads up to that point, and the author did a great job of doing that. I love suspense, and there was a ton of it in this book. The reader is kept guessing as to who is after Andrea, and why. It wasn't easy to predict what was coming next, and it did keep me on the edge of my seat as the suspense built to the great ending. Forgiveness is a topic often dealt with in Christian fiction, and it was a topic in this book. Maybe we hear it often because we need to hear it often. This was a great suspenseful and Christian read the author can be proud of. I am hoping she has one more book to go with these two. Ronie Kendig is one of those authors who just keeps getting better, and this series has got to be her best. She took a different turn in this series than in her other military fiction, and added a supernatural aspect. In this, the 3rd and final book in the series, the sword of Goliath is being searched for. The bad guys want it for evil purposes, and the good guys want it to stop the bad guys. This book had a lot going on in it. Thankfully, the author noted every time the book switched locations, as it took you all over the place, though mainly in Russia and the USA. I was sad to see the series end, but it did end with the best book of the series. There seemed to be even more action and suspense than the other, and there were a few surprises. I wondered for the first part of the book why the main character, Tox, was not making an appearance. Then I found out why, and I did not see that coming. This book focused more on Ram than the others did. Cole (Tox) was still the main character, but Ram played as much of a part as he did in the book. Kendig is a favorite author of mine, but I don't say this lightly: I was honestly wowed at the intricate plot she wove.... the curse, the sword, the history she used.....it truly was an amazing plot. I found myself thinking more than once "how on earth did she come up with THAT?!" She showed as usual that it is possible to write great military/special OPs books and keep it clean and curse free.....and I really admire that. The romance angle was played out more in this book, and it involved one of the surprises in the book...one that is revealed fairly early. Even with the sad emotional part I mentioned before, the book had a terrific ending, and I had that satisfied feeling one has when they read a great novel that does more than entertain....it pulls you into the story and won't let you go. Great job, Mrs Kendig. 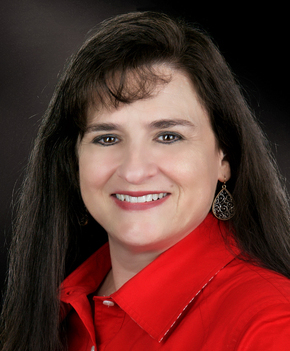 You are a definite asset to the Christian fiction market. 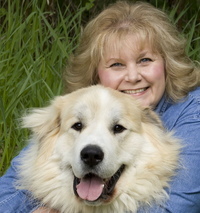 Ronie Kendig is an award-winning, bestselling author of over twenty novels. She grew up an Army brat, and now she and her Army-veteran husband live a short train ride from New York City with their children and a retired military working dog. Ronie's degree in psychology has helped her pen novels of intense, raw characters. Visit her at www.roniekendig.com. 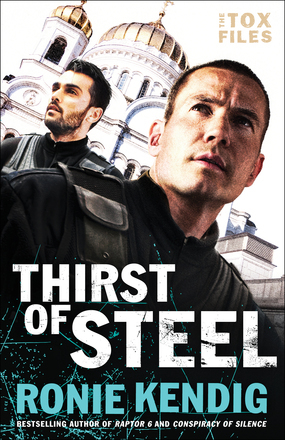 Thirst of Steel is available from Bethany House Publishers. I have enjoyed every book and series I have read by Lynette Eason, but feel this one is her best yet. I really enjoyed the first one, but liked this one even better....possibly because most of the characters are familiar now. Called to Protect is a great suspenseful read that I enjoyed every minute of. The plot and characters were top notch, and the suspense and drama were awesome. Eason tackles the issue of human trafficking in this book, and she does a stellar job of portraying how awful it is, and how the people work and operate who are involved in that horrible practice. As much as I enjoyed the book, it did bring a stark reminder of how widespread this crime is, and how many people have been abducted and forced into God knows what. The book is Romantic suspense, and I enjoyed that angle as well. Blake and Chloe are likable characters, and even I found myself rooting for that part. Slight spoiler: this isn't a book where they marry at the end of the book after a whirlwind romance, but the book did have a very good and promising ending the romance department. This is possibly Eason's most riveting novel so far. The human trafficking angle made for a great plot, and the dilemma of U.S. Marshal Blake Macallum made it even better. Called to Protect also hits on forgiveness, and how we must forgive those who have hurt us and done us wrong... no matter how bad the offense. This is definitely a book Eason can be proud of, and it left me wanting to read more of the St John family. 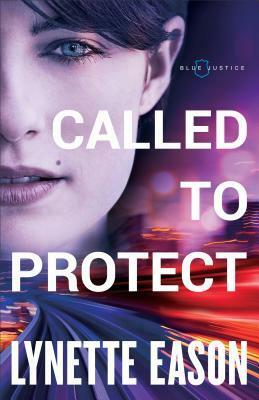 Called to Protect is available from Revell Publishing, part of the Baker Publishing Group. I enjoyed the 4 books in the Gwen Macy Series by Parks, but was getting a little tired of the main character and her issues....so I was happy to see a book coming out by this author that wasn't in that series. With the author being a forensic artist, her book are all the more interesting since she knows what she is talking about. This book, though totally different from the others, again showed the author's professional knowledge in that area. I liked the new characters the author came up with, along with the plot and setting. 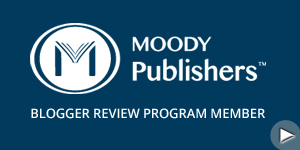 The book was very suspenseful, which is exactly what I like. It is a book that kept me turning the pages as fast as I could to see what was going to happen next. I did enjoy the book, but there came a point in the book that left me confused as to what had happened and what was going on. I won't give any spoilers away, but I was left with a feeling of wondering if I had missed something. 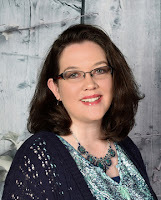 Carrie Stuart Parks is Christy, Carol, and Inspy award-winning author, an award-winning fine artist, and internationally known forensic artist. Along with her husband, Rick, she travels across the US and Canada teaching courses in forensic art to law enforcement as well as civilian participants. She has won numerous awards for career excellence. 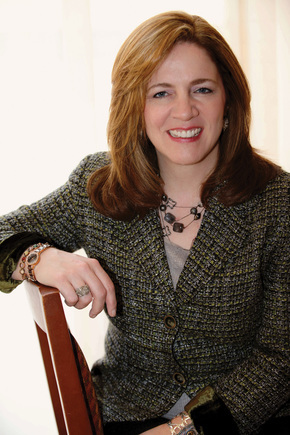 Carrie is a popular platform speaker, presenting a variety of topics from crime to creativity. Formula of Deception is available from Thomas Nelson Publishing. Christian suspense is my favorite genre' and that is where I first ran across this author. 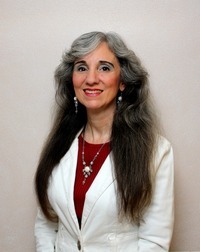 Seven years ago she wrote a 2 book series with her daughter that was Christians suspense. I enjoyed those books and her writing style, so I have read her books that are not suspense, such as this one. This one caught my eye because of the time period it was written in. I enjoy reading about the Revolutionary and Civil Wars, and Woodhouse did a great job on weaving a fictional tale and fictional characters with historical events and people. I really liked her two main characters, and their dangerous spy mission was as good and suspenseful as a suspense novel. I have read books before where a main character was a spy, but I think this is the first book I have read where both main characters were spies. It is interesting to see how different authors portray real historical people, and I enjoyed this author's portrayal of George Washington and Benjamin Franklin. I enjoyed the book a lot, and only wished it had been a little longer. It ended way too soon. Even though it was historical fiction, the story helped remind me of the sacrifices that were made to win our freedom and to keep it. 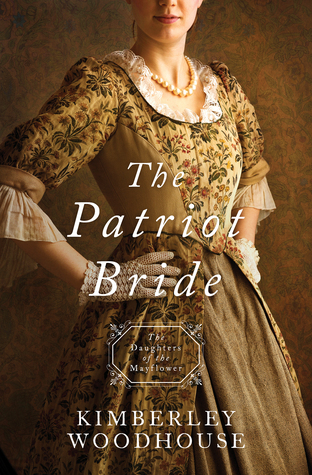 The Patriot Bride and the other books in the Daughters of the Mayflower Series are available from Barbour Books.